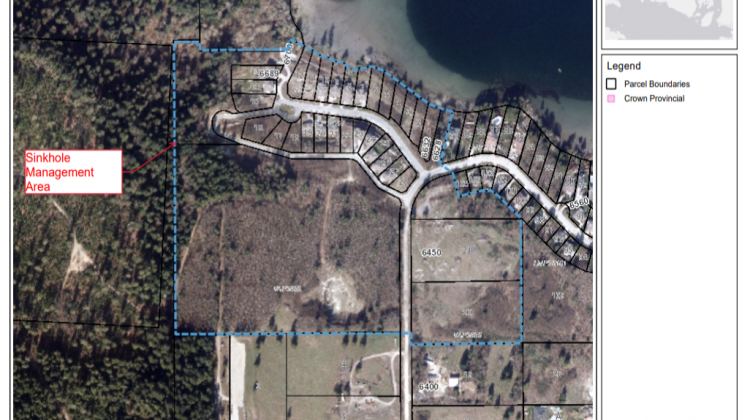 An Evacuation Alert has been issued by the District of Sechelt for residents of the Seawatch neighbourhood. Geotechnical instability in the Seawatch Concordia Subdivsion has resulted in multiple sinkholes. 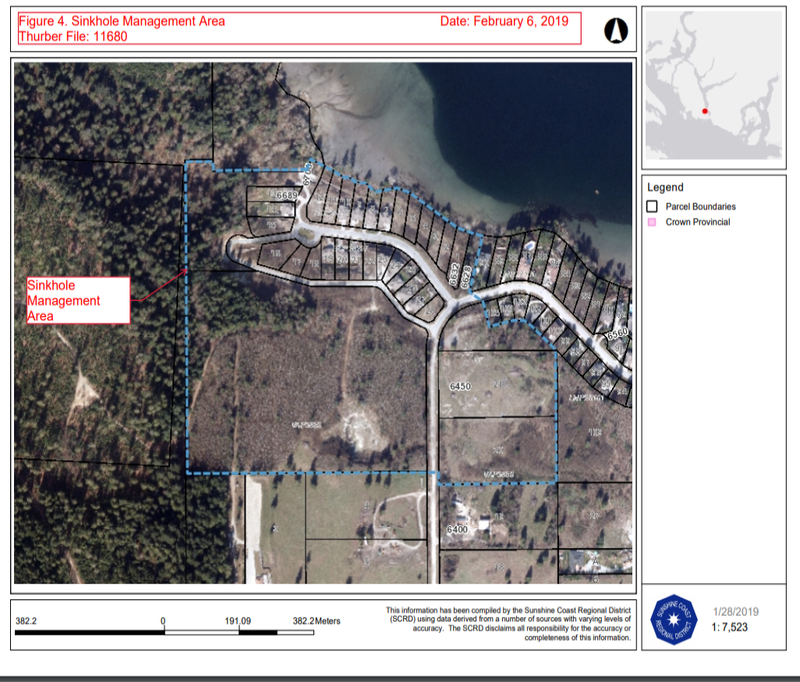 Sechelt has issued the Evacuation Alert for 6629 to 6689 North Gale Avenue and 6644 to 6649 Seawatch Lane. The Evacuation Alert has been issued so residents can prepare to evacuate. The District says residents will be given as much advance notice as possible prior to evacuation, however, that notice could be very limited. The notice is the result of a Thurber Engineering report that was done after a sinkhole appeared in the neighbourhood on Christmas Day. Thurber is recommending the District no longer allow occupancy of the public and private properties and buildings within the Phase 1 site.